Super Value Deal: Add the below two tours to your holiday package from just $99* per adult! Hoi An Walking Tour - The World Heritage listed, ancient town of Hoi An is best explored by foot on this walking tour. Meander past art galleries, antique galleries, lantern shops and tailors. 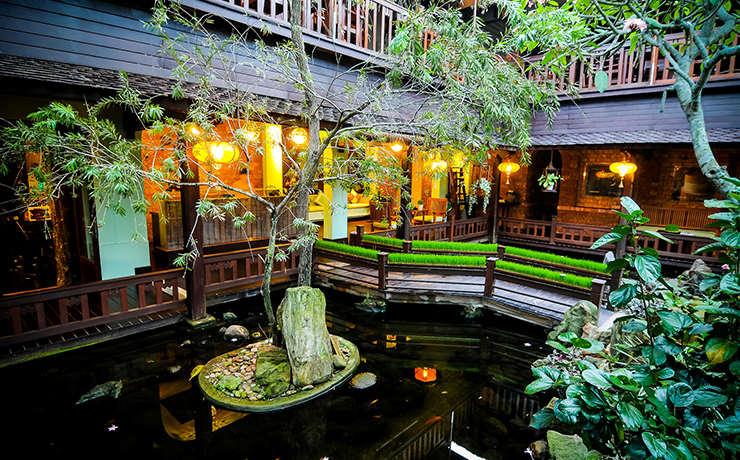 Visit one of the old houses of Hoi An town and stop at a Chinese assembly hall, handicraft showroom and Hoi An Museum. My Son Coach Tour- One of our most popular tours! Join the shuttle bus and drive to My Son. See a traditional dance performance and then take a walking tour to the Cham ruins. 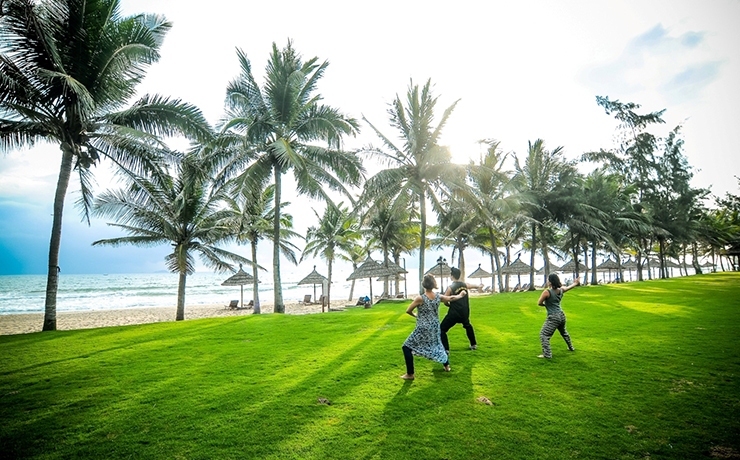 Drive back to Hoi An, and join a 2hour boat trip on the Thu Bon River, passing by a fishing village, a weaving village, and Cam Thanh coconut jungle village. 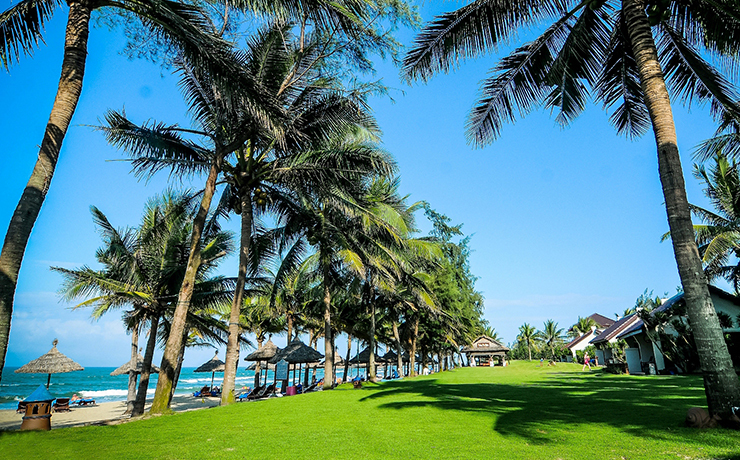 ^ Flights: Departures ex Sydney and Melbourne are operated by Vietnam Airlines. Departures ex Brisbane and Perth are operated by Singapore Airlines. ^^ Transfers: Surcharges apply for flights arriving between 10pm - 6am, and departing between 12am-6am. Prices on application. 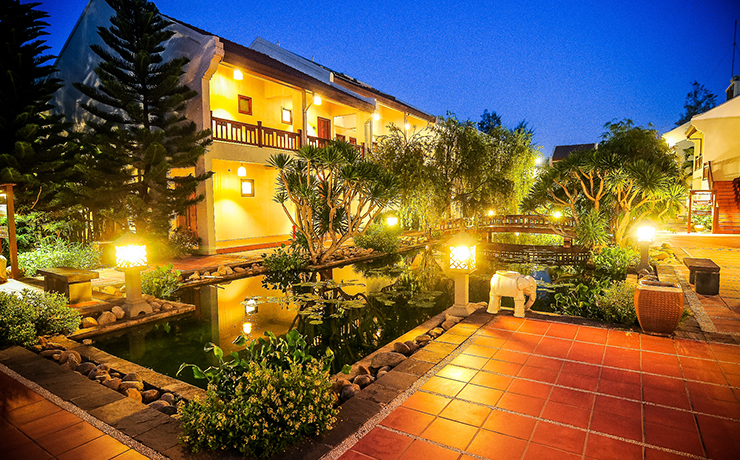 Palm Garden Resort Hoi An is set a larger resort with 216 rooms and bungalows with expansive grounds with lovely tropical gardens and a large free form pool as the centrepiece of the resort. 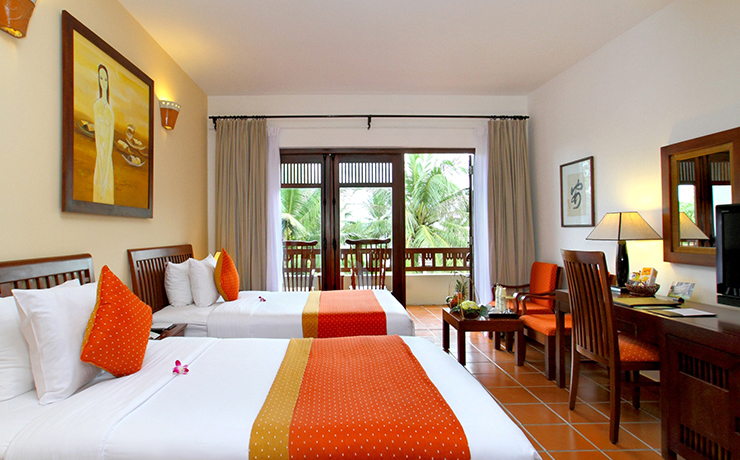 All rooms and bungalows are dotted around the resort taking in good views of the gardens, pool or the ocean. 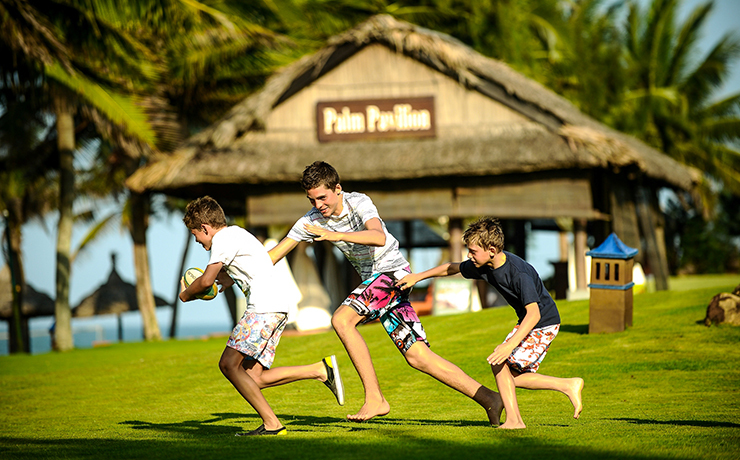 The resort has plenty on offer from the large pool with kids’ area, kids club, tennis courts, Spa, restaurants and bars and all within easy reach to Hoi An’s ancient town. 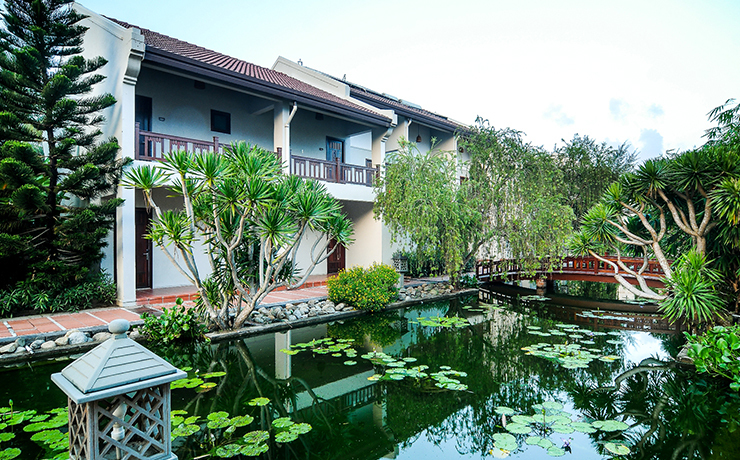 Located in Hoi An overlooking Cua Dai beach and only 30 minute’s drive from Danang airport and a short 5-minute drive from the ancient town. 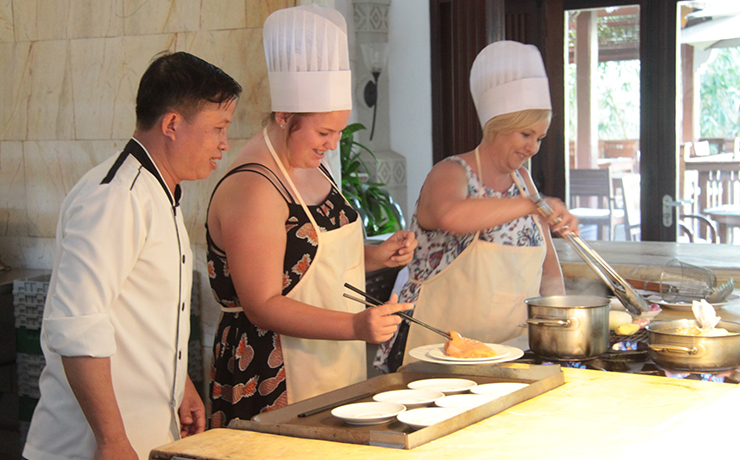 Palm Garden offers a range of dining options within the resort for the days or nights when you don’t want to venture out. Terrace Café & Restaurant – Open daily for breakfast lunch and dinner offering a range of Western and Asian dished this restaurant has either inside airconditioned seating or you can choose to sit out on the terrace and enjoy the balmy weather. 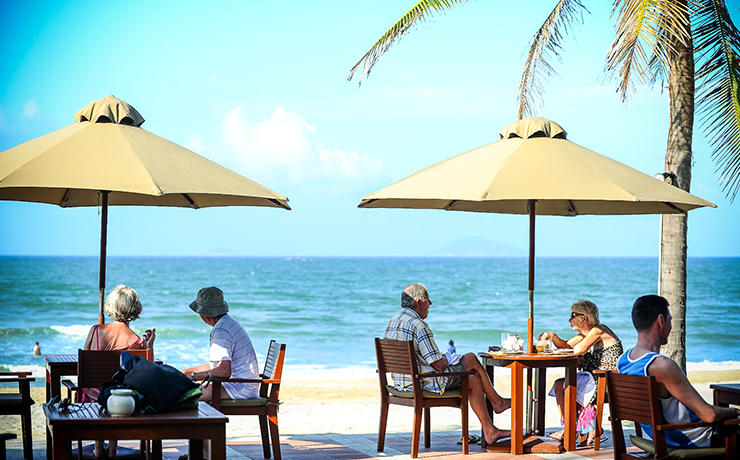 Clobri Beach Restaurant – An open-air restaurant located closer to the beach area open for lunch and dinner and offering a range of Western and Asian dishes along with some Italian and seafood specialities. 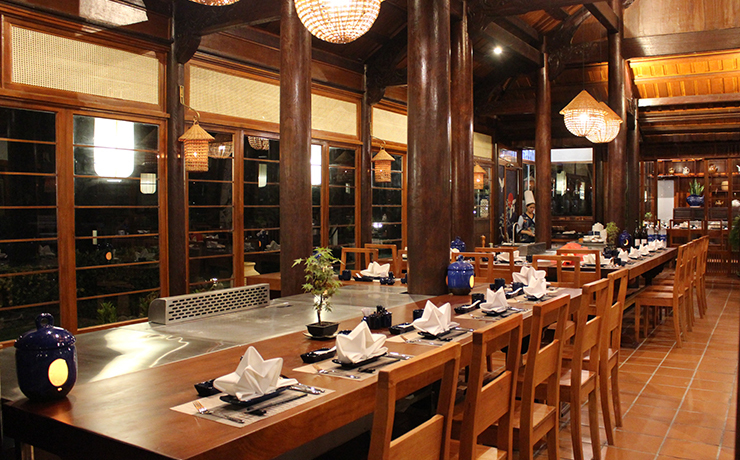 The Wessia – This is the first teppanyaki restaurant in Hoi An, a quaint little restaurant open for lunch and dinner specialising in teppanyaki, sushi and sashimi. Contino Bar – Located at the front of the resort and open in the evenings from 5pm offering a good selection of drinks with the all-important happy hour and a live music on most nights. Breeze Bar – Located by the ocean breeze bar is open all day offering a good selection of refreshing drinks. 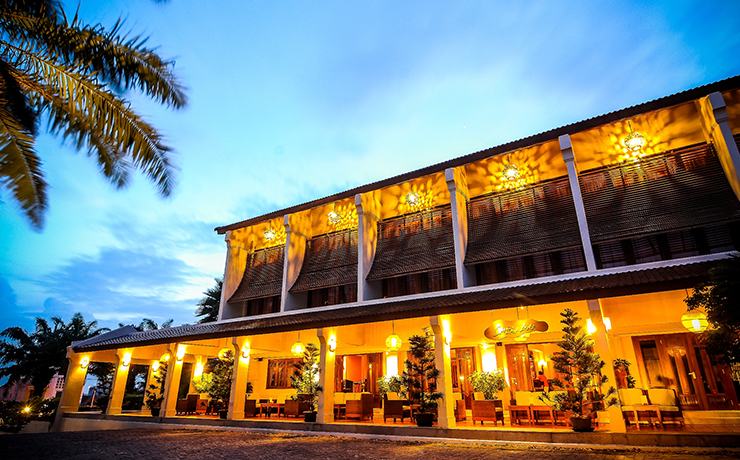 All 216 rooms and bungalows are designed in traditional Vietnamese architecture giving you a very authentic stay. 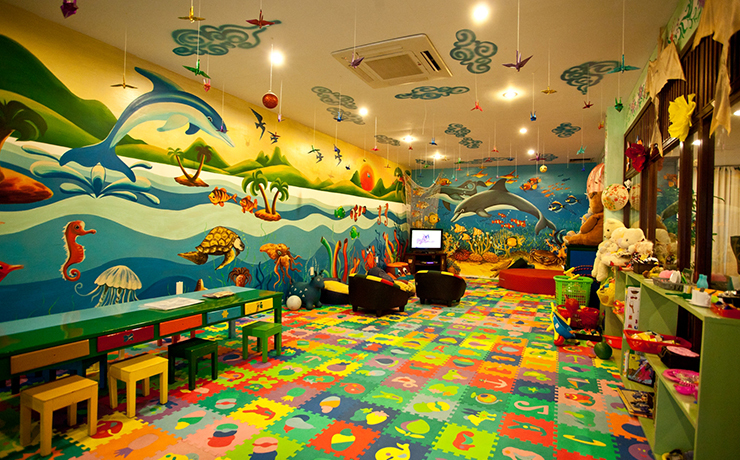 Rooms also offer WIFI, Air conditioner, TV, IDD phones, tea and coffee making facilities, in room safe and mini bar. 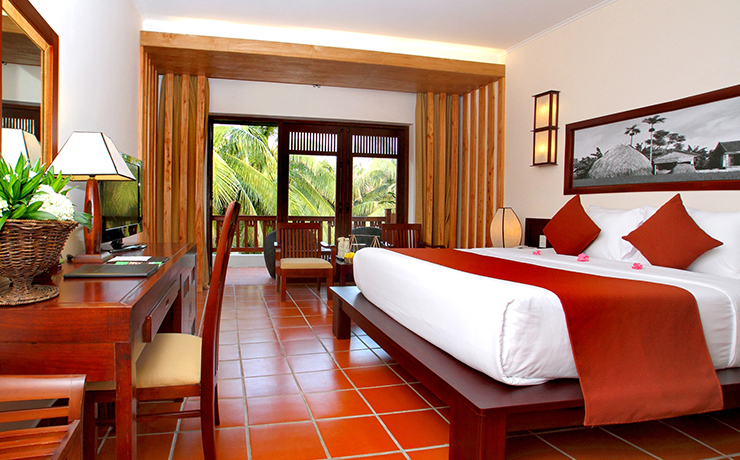 Superior room – There are 66 Superior rooms are 40sqmm in size and these have either a view of the gardens on Sea. 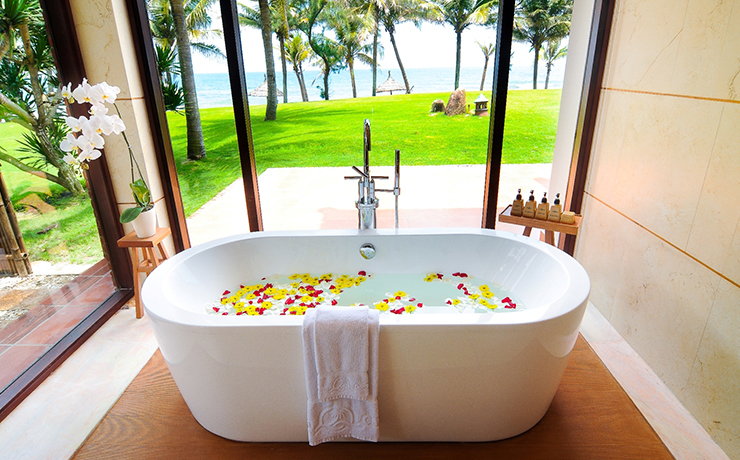 All with king or twin beds and good size bathrooms some have a shower only and some have a shower over the bath. 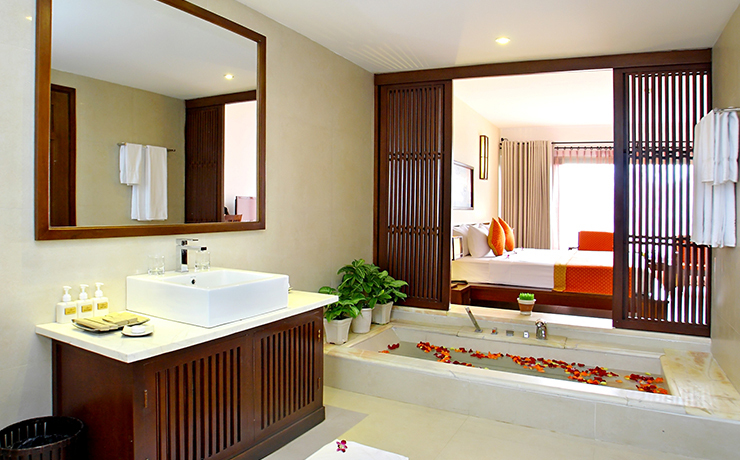 Deluxe room – similar to the Superior rooms in style and design just larger in size at 48sqm and these mostly have a shower over bath. Bungalow – all located on the ground floor these rooms feature one large room incorporating the bathroom, bedroom and out to a terrace. With King or Twin beds. Welcome to the Socialist Republic of Vietnam! 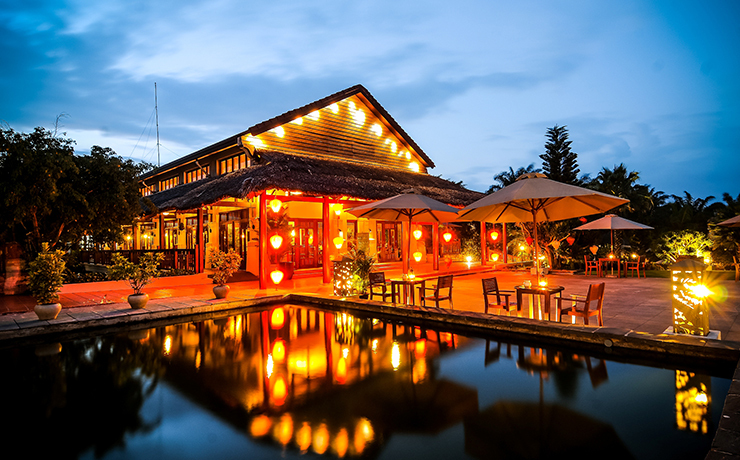 Vietnam is Asia at its most alluring. From the Mekong Delta and the stunning coastline of central Vietnam to the rugged mountains of the north and Halong Bay, Vietnam's beauty is an inspiration. All dates subject to availability and black-out dates may apply. Not valid during school holidays, Christmas and New Year. Contact a Holiday Champion for prices over these periods. Prices shown are a guide only based on per person, twin share. Please contact one of our specialist consultants for an exact quote on the dates you wish to travel & any conditions that may apply. 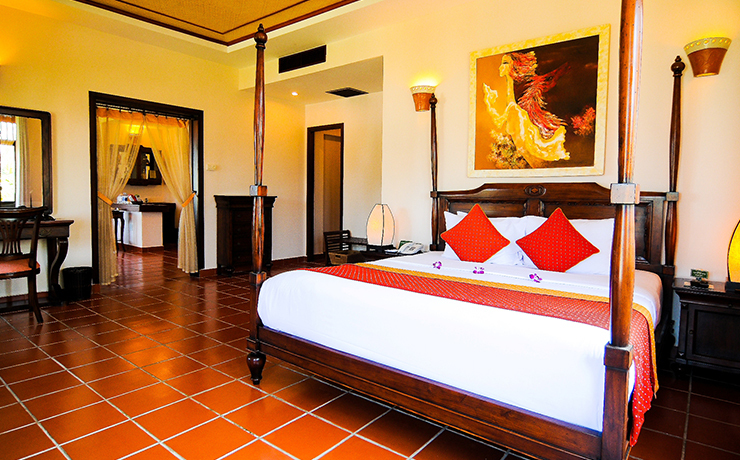 Prices are per person and include airfares, all taxes and twin share accommodation. ^ Flights: Flights ex Sydney and Melbourne are based with Vietnam Airlines. Flights ex Brisbane and Perth are based with Singapore Airlines. ^^ Airport transfers: Surcharges apply for flights arriving between 10pm - 6am, and departing between 12am-6am. Prices on application. * Two tours for $99 per adult. Please note does not include transfers to/from the meeting point for the tours in Hoi An ancient town. 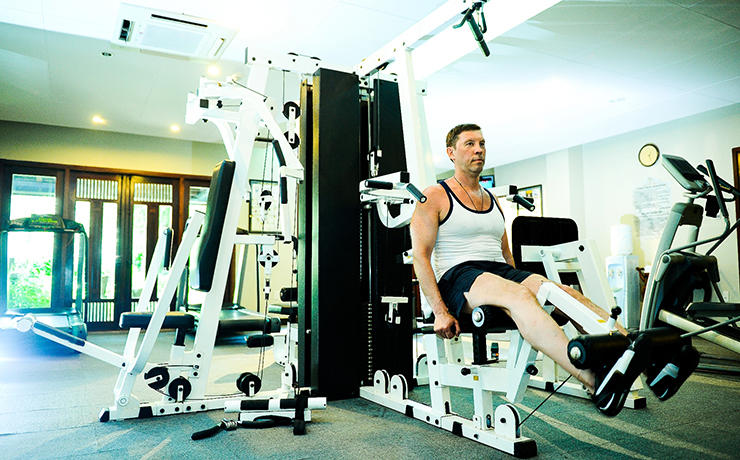 Seasonal surcharges can apply especially during school holidays. 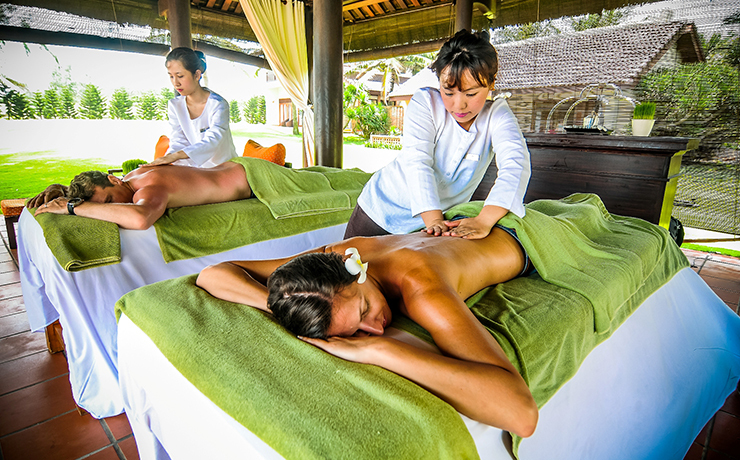 Hotel specials have varied travel dates, block-out dates & high season surcharges may apply. Prices are also subject to change without notice due to currency, tax fluctuations & fuel surcharges.